Leading experts survey the currently available technologies designed to improve the delivery of today's cancer chemotherapeutic agents. The authors review both the theoretical and practical considerations governing conventional and nonconventional methods of drug administration, and identify promising opportunities for product development. 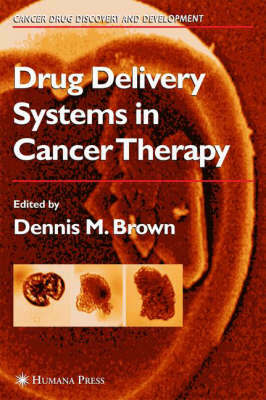 In their outline and discussion of the use of novel formulation technologies-including synthetic polymers and biomaterials for prolonged or sustained drug release to achieve potentially greater therapeutic effect-they profile those technologies that have resulted in a number of approved and late-stage clinical products.